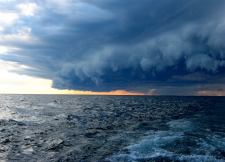 Great Lakes historian Dr. Kathy Warnes contributes two items to this issue of Lake Effect Living. The first is a short biography of Captain Henry J. Woods, Keeper of the U. S. Life Saving Service Station at Muskegon. Explore the life of a public servant who was so dedicated to his country that he fought in the Civil War at age 14 -- without enlisting. 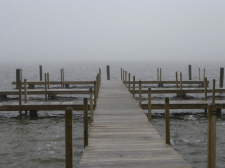 In addition, Kathy has submitted a short story, "Fire and Fog". Inspired by an incident relating to the Great Chicago Fire, Warnes' story imagines how it might have affected the life of one Great Lakes light keeper and his family. In this issue Lake Effect Living looks at a beautiful lighthouse on the shores of Lake Superior. However a lighthouse isn't erected because of scenic grandeur. One stormy night in late November 1905 two bulk ore carriers foundered on the rocky coastline of what was described as "the most dangerous piece of water in the world." 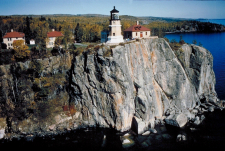 Split Rock Light has stood as majestic guard over the deadly shore since its first light in 1910. Explore the history on our "Lighting the Lake" page. 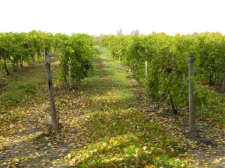 The west coast of Michigan boasts perfect conditions for growing grapes. The beautiful waters of Lake Michigan prevent extremes in temperatures, which results in a temperate climate and long growing season. In this issue Lake Effect Living introduces a listing of Wineries along the Lake Michigan shoreline. So head out to one of the lakeshore vineyards and enjoy their many exquisite handcrafted wines. Though Waring Blender cookbooks from the 1940's carried recipes for blended fruit drinks, the smoothie really took off in the macrobiotic craze of the 1960's. 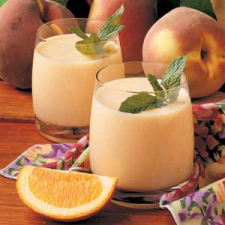 Today you can enjoy a "healthy shake" by making some of the tasty smoothie recipes found on our Food, Glorious Food page. Don't forget to read the Calendar of Events for June and July. There's always something happening on the lakeshore.